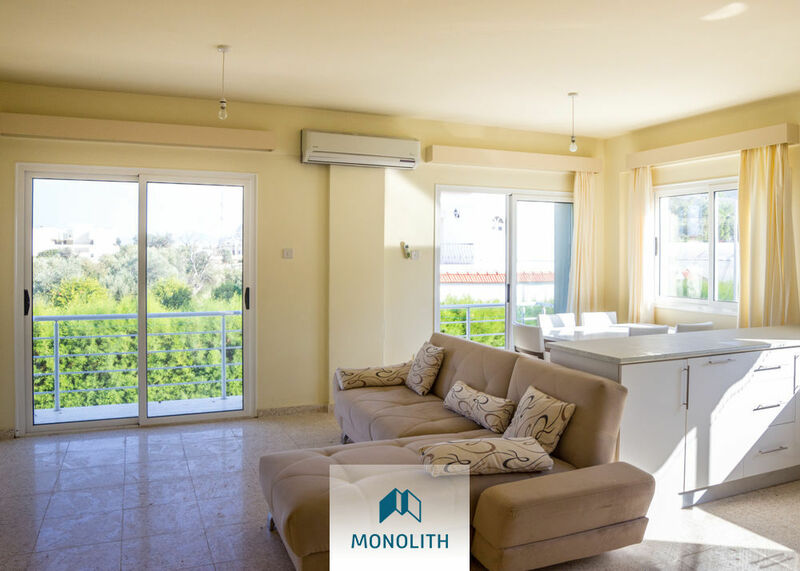 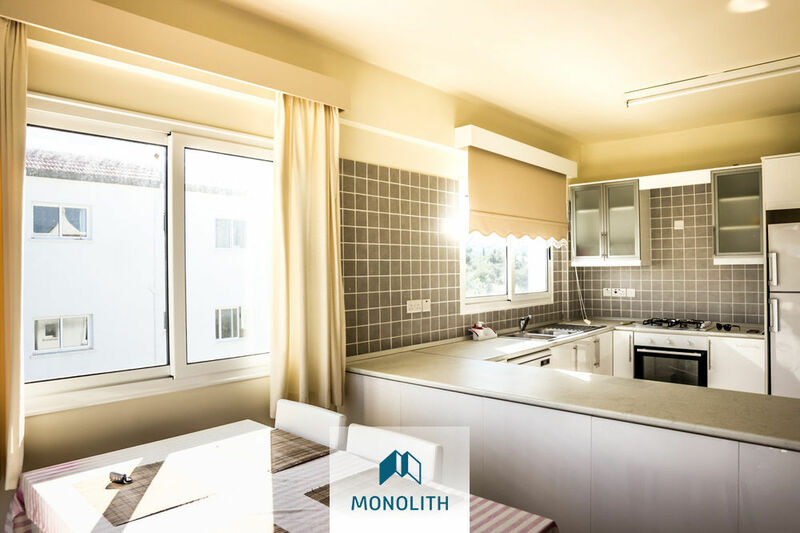 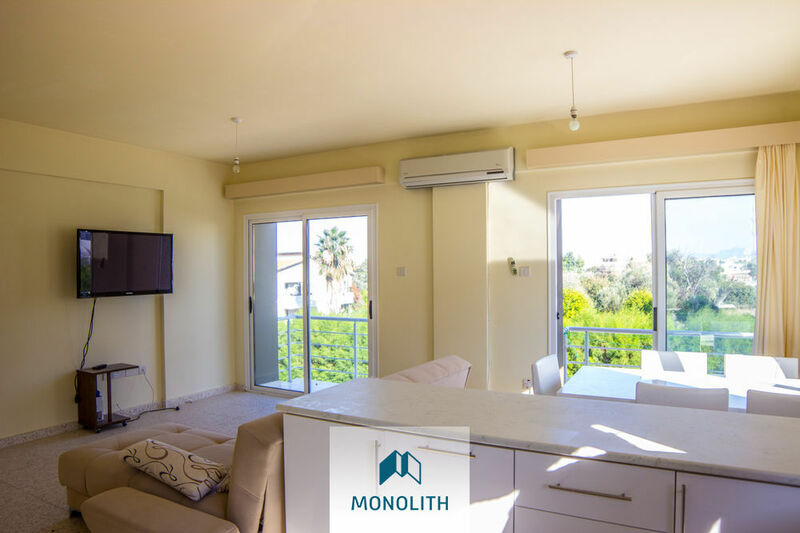 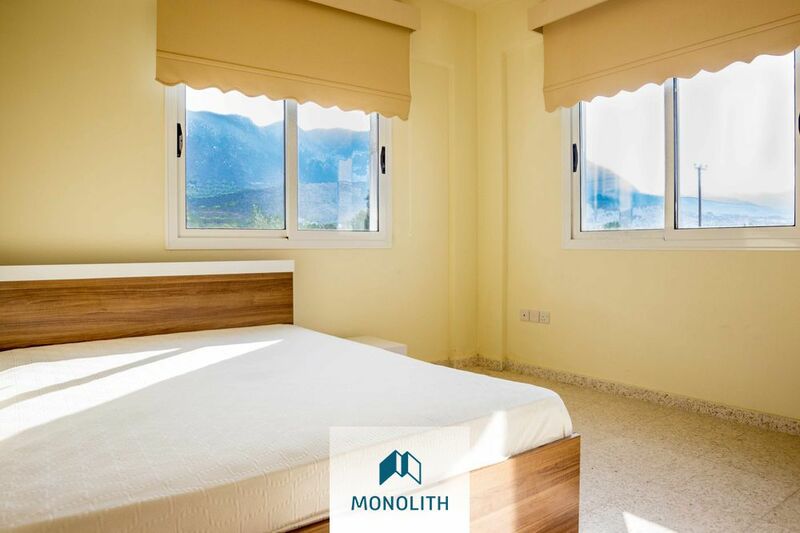 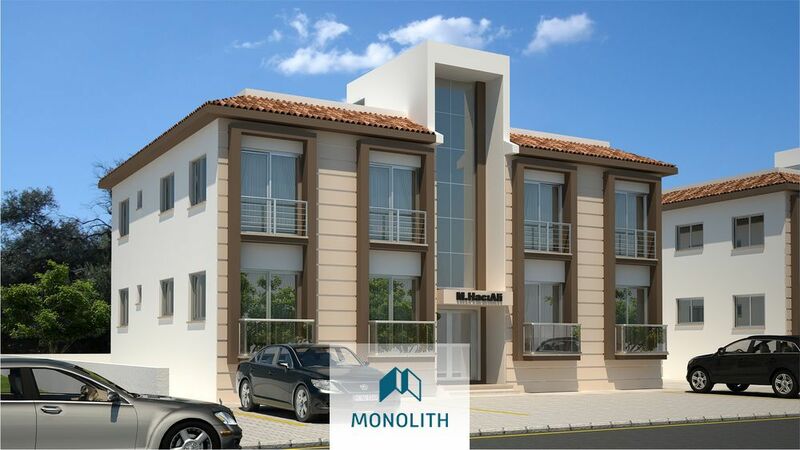 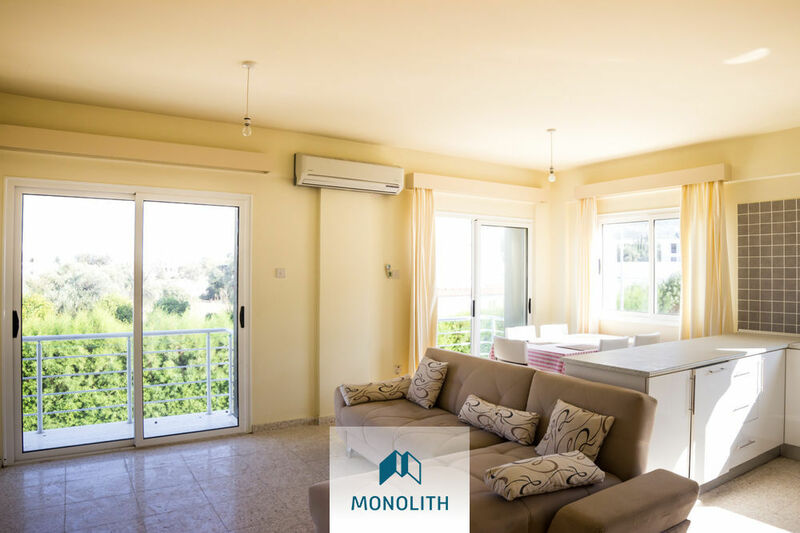 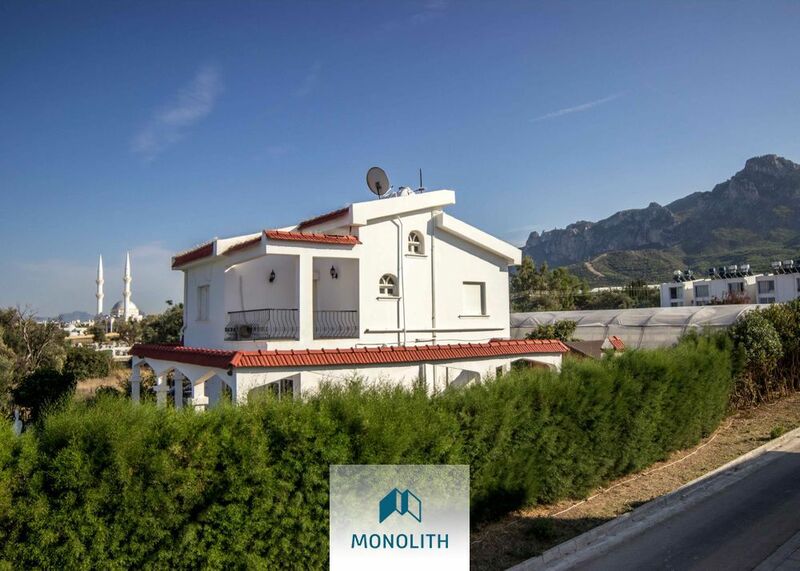 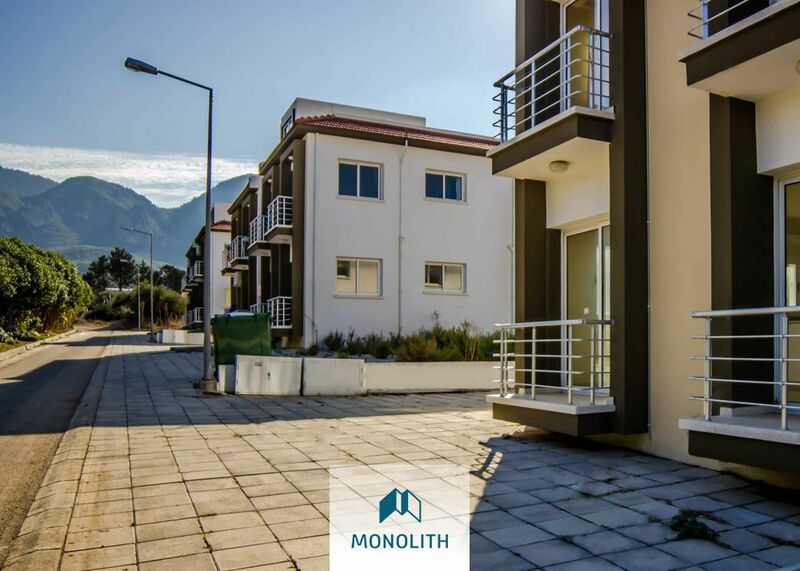 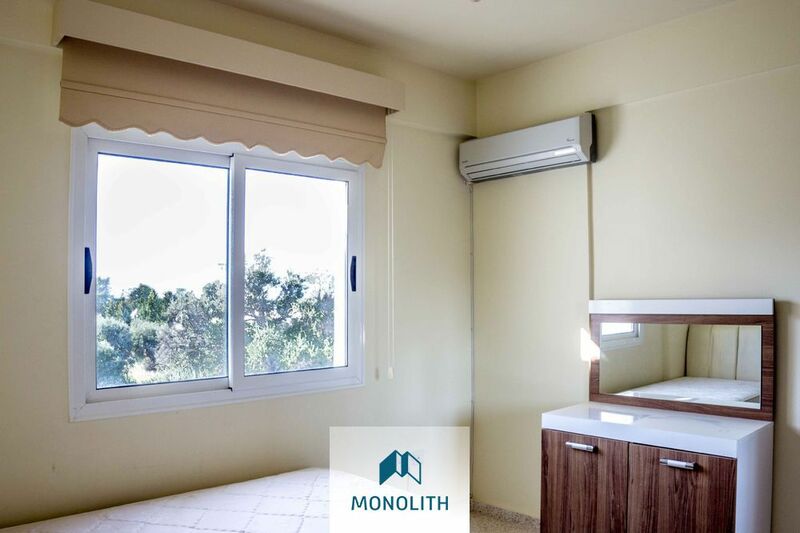 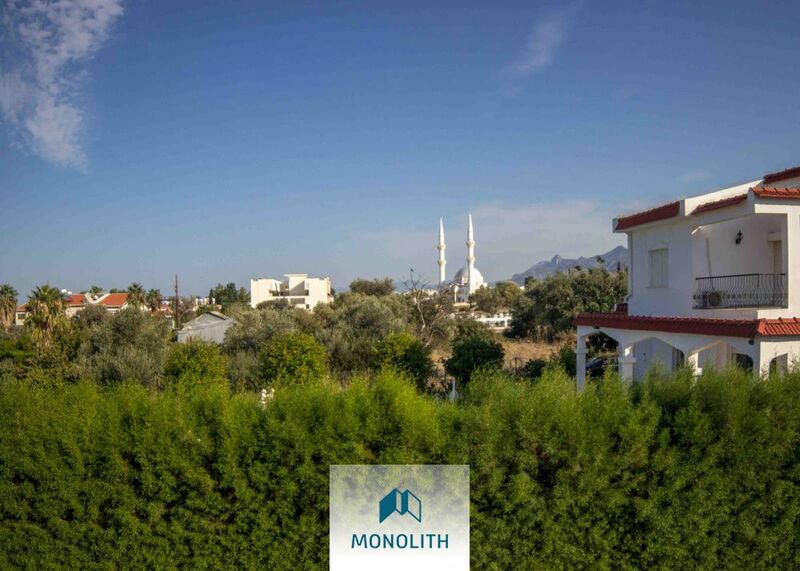 The apartment is located 5 minutes away from Girne American University and College and also market, banks and local transport. This district is quiet because mostly there are privete villas around. 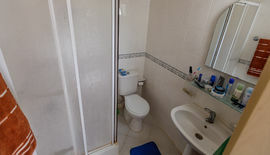 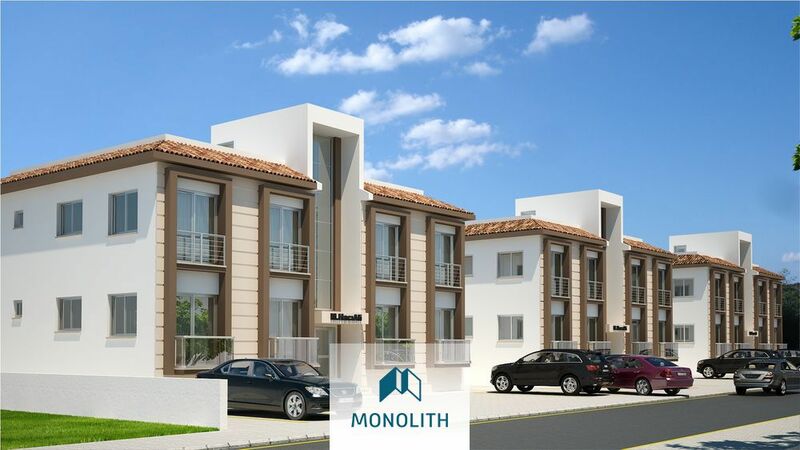 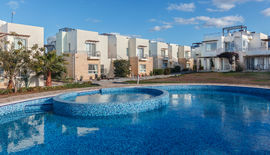 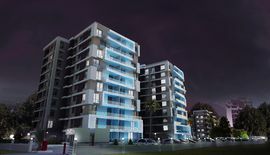 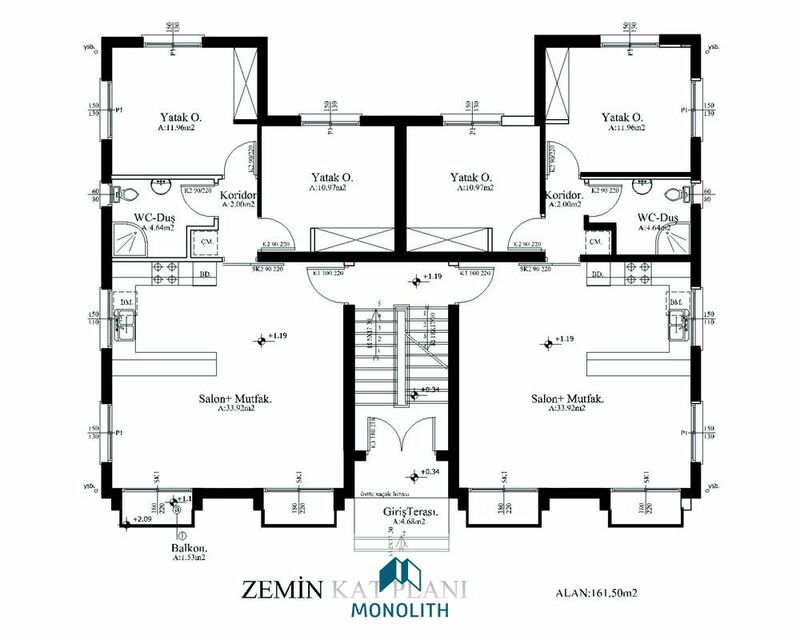 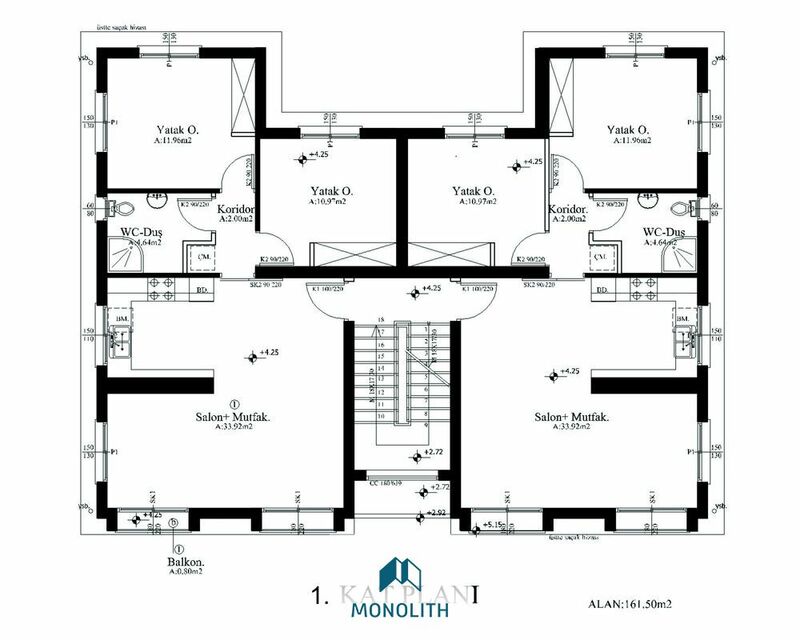 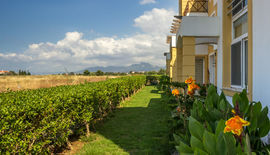 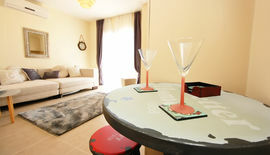 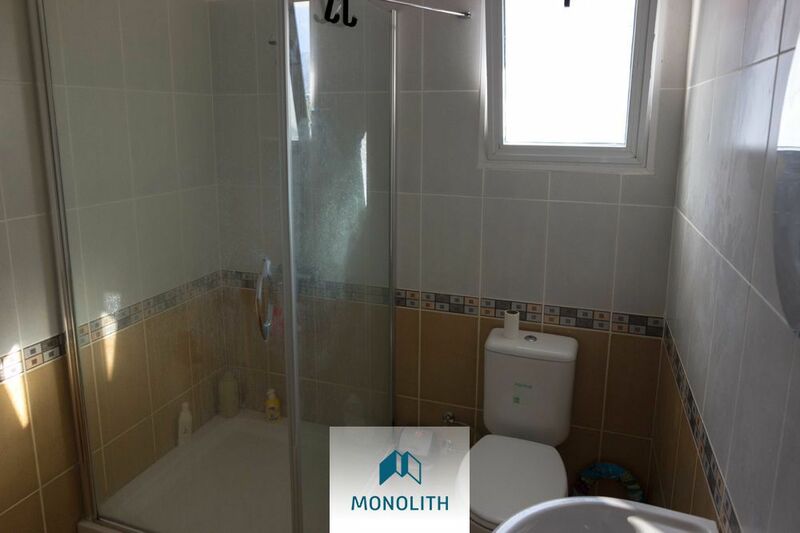 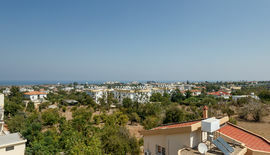 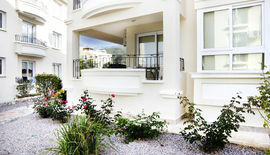 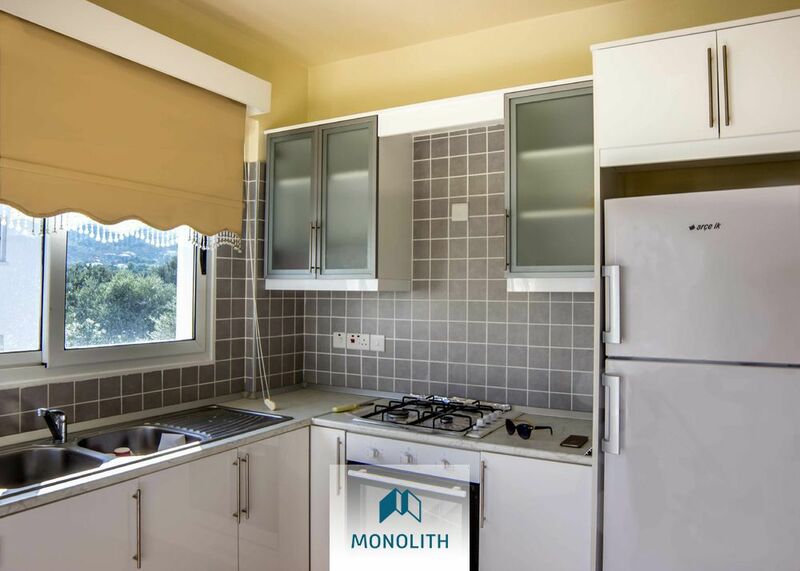 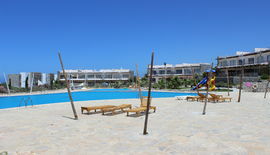 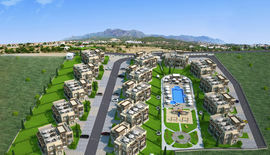 The apartment is built with quality which is very well known in North Cyprus, te materials are also made with quality. 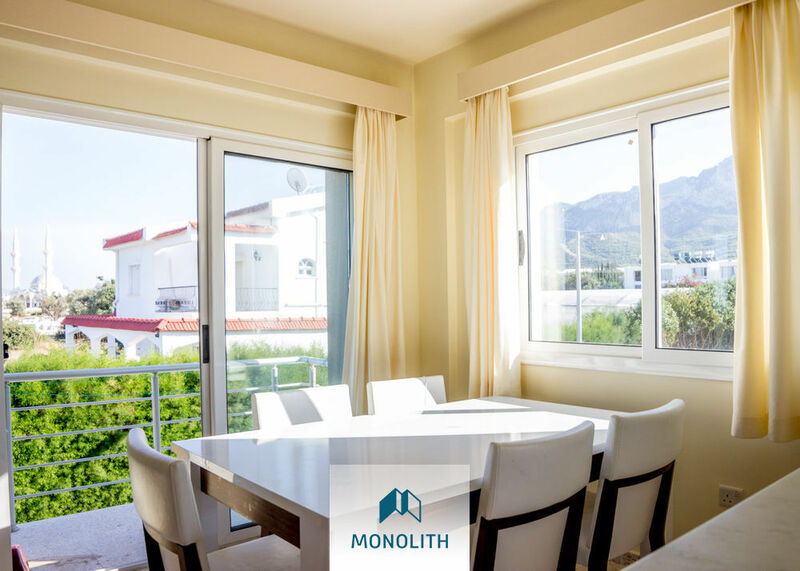 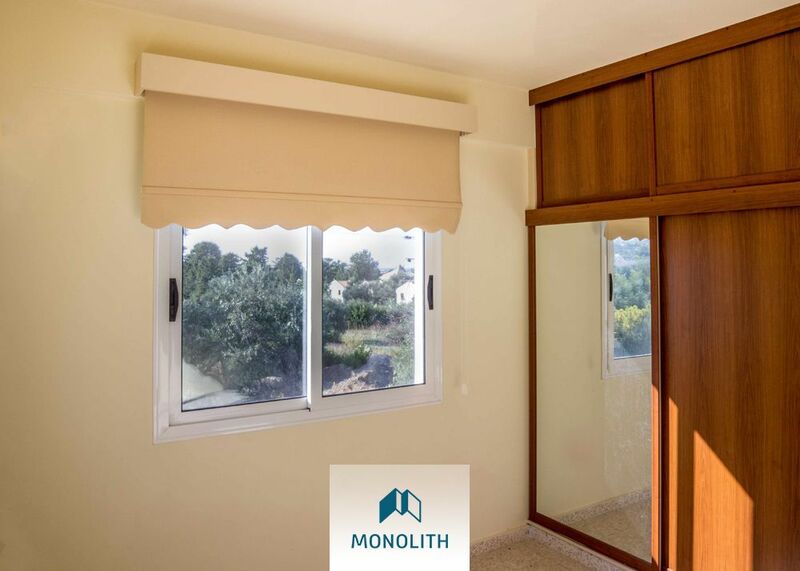 There are thermo isolated materials which make the apartment cool in summer and warm in the winter. 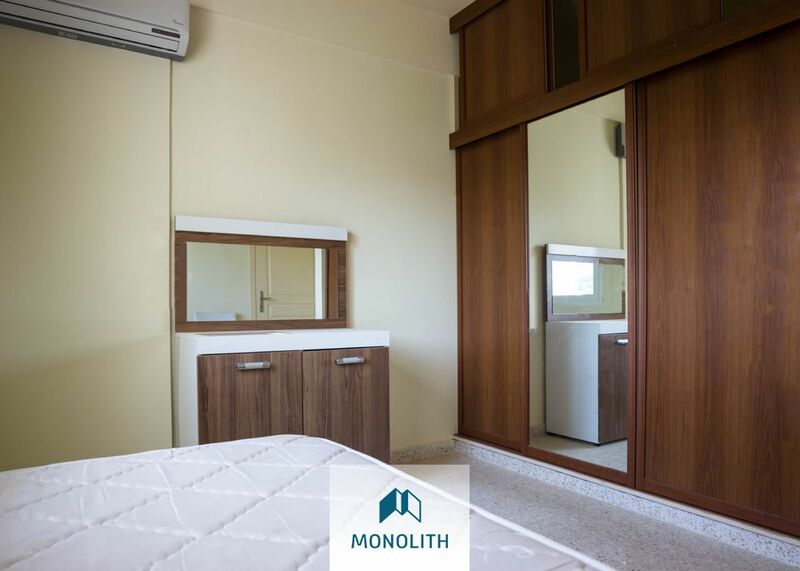 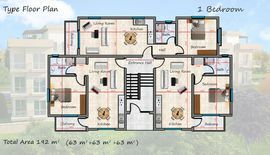 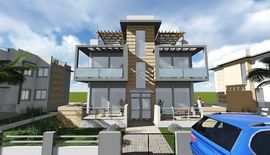 Advanced planning, spacious living room and bedrooms, bathroom -- all of those elements make this apartment luxurious and not for a big amount of money. 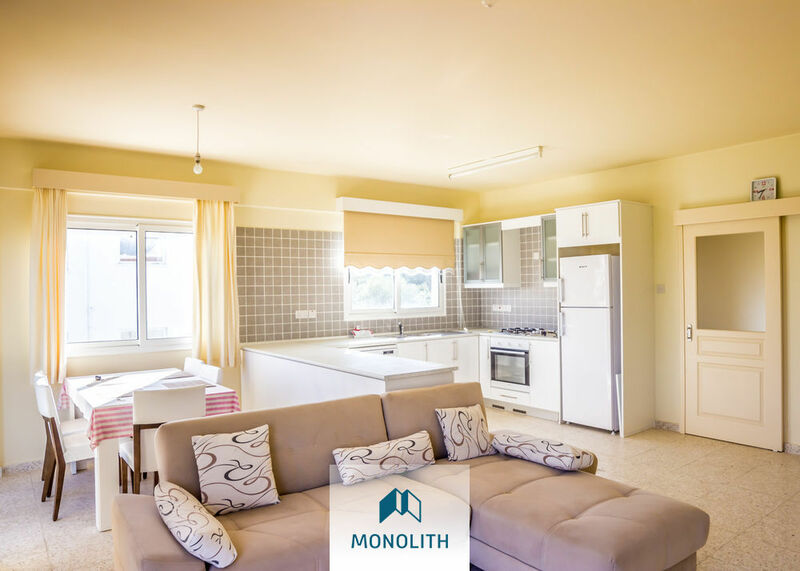 You can get in the apartment with your bags and feel like your at home since all the furniture and appliences are coming with the apartment.